Our flagship “RV Builder” website solution offers a completely seamless integration with your existing website. 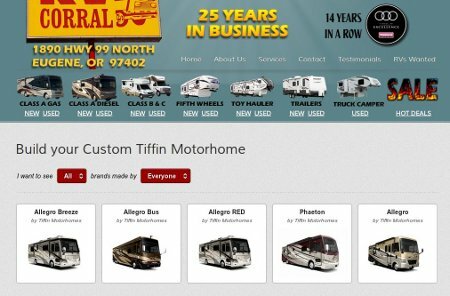 Your visitors never leave your site to build the RV of their dreams. With over 800 Million active users, Facebook is the definition of social interaction on the Internet. 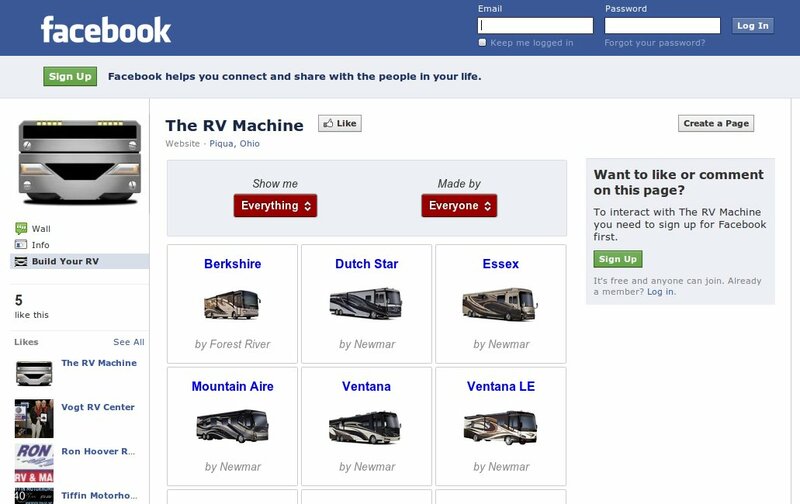 Put Facebook to work for you with our Facebook Fan Page ready “RV Builder” application. We pride ourselves on a unique approach to consumer-facing products. 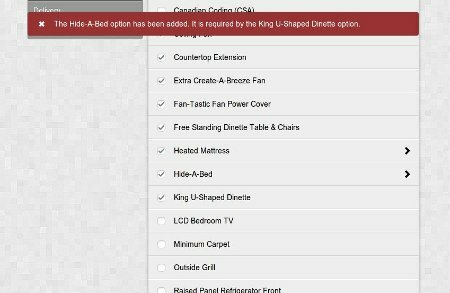 Optional equipment is filtered & dependant on model. Intelligent resolution of conflicting equipment ensures the resulting quote request is as accurate as possible. Go above and beyond what is available from your manufacturer offering with custom options & delivery quoting. 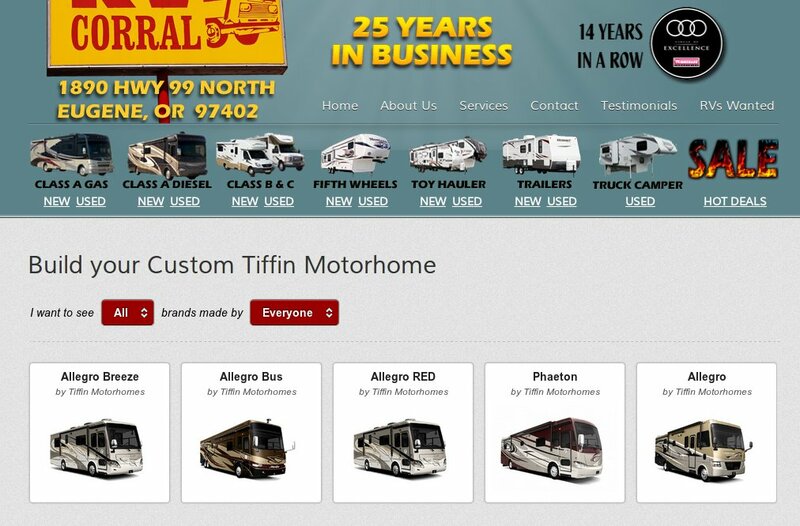 We allow you to custom tailor many aspects of the “RV Builder” to suit your individual needs. All data is loaded and maintained by us. No dealership resources needed. We offer the most accurate & up-to-date information available. This helps to eliminate product ambiguity that both you and your customers face when researching RVs. A single sale will more than double your entire annual investment in our system. Not to mention, there’s no software to buy, no hiring employees to maintain product information, no setup fees, & configuring your website takes only minutes. Our system uses the latest methods and technology to provide the absolute best user experience for your website visitors. 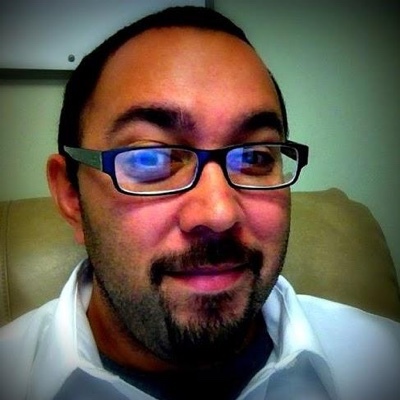 Satisfied visitors are significantly more likely to convert to sales. 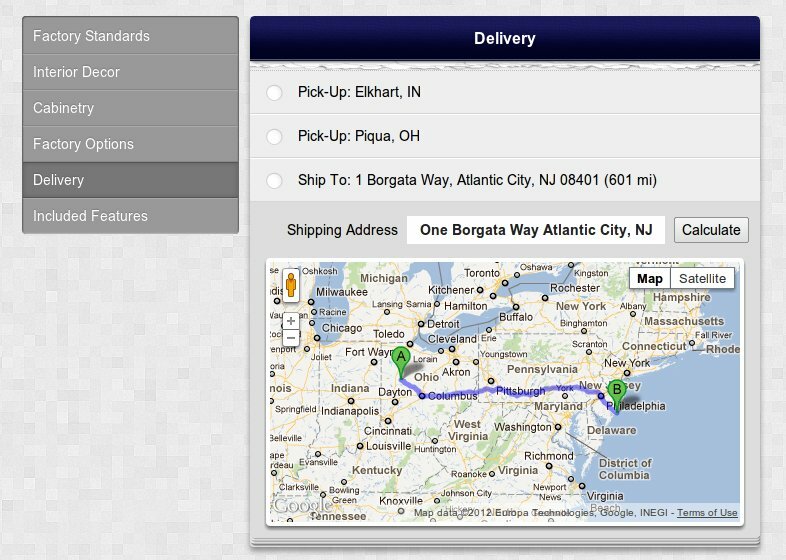 When a customer visits your website it is crucial to keep them there as long as possible, and to return frequently. By offering a more interactive experience, your customers will enjoy giving you more of their precious time. We all know the social web is hot right now, so why not maximize your impact? 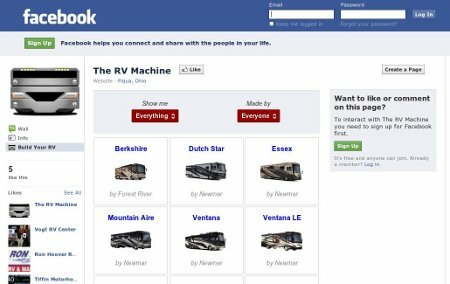 Give your customers the ability to discover your full line of RVs, configure, & request quotes without ever leaving Facebook, their favorite social hub. Coming soon to a tablet & smart phone near you! 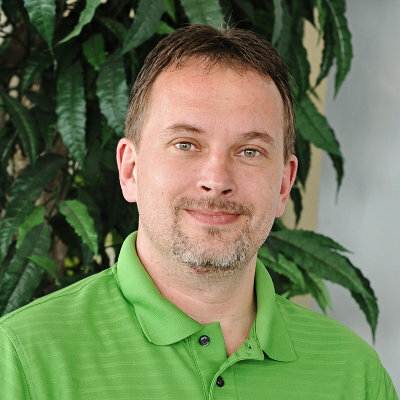 Our upcoming next-generation “RV Builder” is a fully mobile-ready solution.